Is Coconut Oil ‘Pure Poison’? It's been several years since coconut oil was labelled as a superfood and became the oil of choice for everything from cooking to beauty treatments. But the bubble has burst since a recent talk from Harvard professor Karin Michels, in which she labels coconut oil ‘pure poison'. So what is the truth behind the story? The controversial comments were made in a talk titled "Coconut oil and other nutritional errors," by Karin Michels, who is an adjunct professor of epidemiology at Harvard T.H. Chan School of Public Health. She uses the word ‘poison' several times in the speech, as she warns about the ‘superfood' which is very high in saturated fat. "I can only warn you urgently about coconut oil," says Michels. "This is one of the worst foods you can eat." But is it really, actually poison? In short, no. Karin Michels' statements are based around the high saturated fat content of coconut oil as opposed to other oils, however, the link between saturated fats and heart disease has been questioned in recent years. A widely-circulated report in 2014 stated that the link was ‘unproven'. While all fats in your diet should be eaten in moderation, it's important to remember why coconut oil got its label as a ‘superfood' (for better or worse) in the first place. 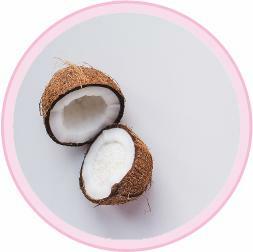 Here are just three of the numerous scientifically established benefits of coconut oil. Studies show that lauric acid found in coconut oil acts to decrease brain inflammation (1). Research also shows that coconut oil may assist those who suffer from Alzheimer's disease and possibly seizure disorders. One of the reasons for this is because coconut oil contains medium chain fatty acids (MCTs), which are very easily absorbed and then converted into ketones. Ketone bodies serve as an energy source for the brain (2). One of the benefits of coconut oil is the support it provides for the immune system, acting as a natural antibacterial and antiviral. It's been shown to help fight off candida (3) and inhibit the growth of clostridium difficile (4). Furthermore, research has demonstrated that MCTs found in coconut oil support a healthy gut microbiome (5). MCTs have been shown to increase how many calories you burn compared to the effects of longer chain fats (6). One study found that 15-30g (one to two tablespoons) of MCTs per day increased 24 hour energy expenditure by 5%, around 120 calories per day (7). Ultimately, it's a good idea to eat a variety of healthy fats from different natural sources. Good examples include avocado, nuts, seeds, oily fish, olive oil and coconut oil. Obviously, we shouldn't consume excessive amounts of any one of them – variety and moderation are key. Read next: Is pesto really worse for you than a McDonald's Burger?